Have you ever come to a point in you life when you sense, deep in your inner self that the Lord is calling you to follow Him? And you sense your response is: Who Me. Lord? If so then you need to discern your call! over those who carry out evil devices[schemes]. Today, I wish to share with you my reflections on the scripture cited above that has helped me navigate through some very difficult times in “Walking the Walk” with Jesus. I do so in order that you may profit from my mistakes and thus avoid some of the pitfalls we all face as we attempt to respond to the Lord’s Call in our lives. After my conversion, in my sincere, but uninspired, desire to let the Lord reign in my life, I proceeded in a very disorganized and impulsive manner. I was trying to put the Word of God to work in my life but I did not have a consistent spirit-led approach – instead I responded to events and circumstances in a helter-skelter manner, that is, in a fleshly unthinking instinctive manner. In so doing, I often found myself doing things out of my own-self will rather than the Lord’s perfect will. 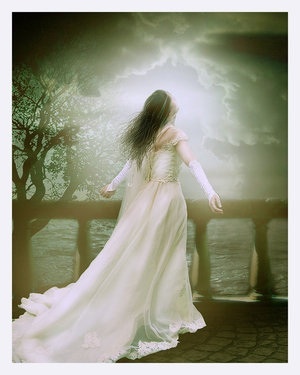 My core problem was that I was letting my human zeal and pride dominate my decisions in the direction of my walk. I was using my own self-centered human efforts in my attempt to please God. What I should have been doing is surrendering myself to the Lord in Love and letting Him work in me and through me so that He, and He alone, would be the one to accomplish His will and His Works in this world. I had forgotten that I am merely His servant and that, as LORD, all the initiative is to be His. In seeking guidance, I turned to The Word of God, remembering that we are told that, “Thy Word is a Lamp unto my feet / A light unto my path” (Ps. 110:105). As I prayed and meditated on this psalm I asked for guidance from His Word on the basic principles I should use to stabilize my life and to discipline the disordered manner in which I was trying to apply His Word to my life, which was in a state of disarray. As I prayed I felt the Lord was leading me to Psalm 37. I had been reading and praying through the Psalms so the Holy Spirit brought to my mind the passage from Psalm 37 that I cite in the foreword. This segment of the psalm struck me as very meaningful regarding the situation I was in. At that time in my life, the spiritual gifting the Lord had graced me with had begun to be evident to me and I was struggling with attempting to discern my personal calling in ministry to the community. However, my motives were not entirely pure and I was hypocritically covering them, thinking to myself: “after all, it is to share my gifts with them”. Because I was not listening to the Lord’s direction, and was trying to do things under my own self-will, I was making many mistakes, stumbling all over myself and hurting others. My problem was that I presumed that, because of the gifting I sensed the Lord had placed on me, I could just determine for myself how and when I was to use these gifts in the community. So in my efforts to be “used” of God I became very self-promoting in our community prayer meetings. I also found that, in order to justify myself, I was taking segments of His Word (out of context, of course) and attempting to use them to fit my own “religious” plans and schemes. This was resulting in disorder in my life and the lives of those around me because I was, in fact, walking in the flesh, twisting the Word to my desires not His. Of course, this led to fleshly results and opening the door to the enemy. In short, I was really messed up. 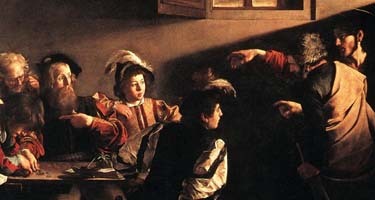 Lent came early that year and, during my personal prayer time and meditation in preparation for the penitential season we were entering into, I began to feel the pangs of conscience, so as I was conducting my personal assessment, in repentance, I asked the Lord in prayer what He wanted me to give up for Lent. His answer shocked me. He told me in no uncertain terms that what I needed to give up was my self-promotion and the way I was to rid myself of this ugly habit was to be quiet during the prayer meetings during all of Lent! I was not to prophesy, I was not to teach or share, I was not to pray in tongues or in any way use the gifts He had placed in me. 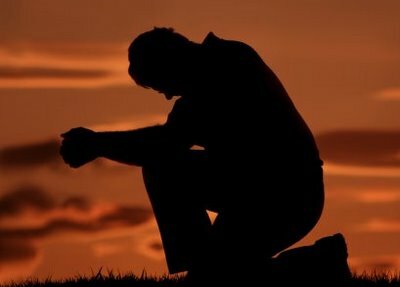 If I prayed it was to be as a quiet personal prayer under my breath. Not because the gifts were not of Him, but because I was using them to my own ends rather than His, I needed to die to self. He then began to teach me something about the use of the spiritual gifts that I had blinded myself to, namely, that the spiritual gifts are His gifts and He is the One who administers these gifts through me. He is Lord and I am merely His servant, His channel to be used by Him for His purposes and not mine! So it was during that Lenten season that the Lord led me through His Word, through a variety of scriptures that clearly set me on the right track back on the narrow path from which I had so sinfully deviated. The scripture I have chosen to headline this posting is the one which has really stayed with me because it so clearly summarizes the path we must take to truly discern our response to the Lord’s Call, to be totally yielded to the Spirit’s leading, and to crucify the flesh as we come into His service. In order to share what I have learned I will paraphrase the cited scripture verse by verse with the personal meaning that the Spirit placed on it for me so that I could comprehend the manner in which a disciple ought to walk with his Lord. Our walk with the Lord begins with trust. This trust flows from a relationship with Him. Without a living personal relationship with Him we cannot reach the level of trust we need to stay on the strait and narrow path. Without a relationship with Him we cannot “do good” because, as He has told us that unless we abide in the vine we cannot bear fruit. As long as we continue in fellowship and trust with in the place where He has us, and doing the good for which He created us, then we will enjoy His protection and provision on our lives. When we are motivated by pride and our own self-will we are not abiding in Him and our fellowship is broken and we cannot even get started on our walk with the Lord. In His goodness and mercy, as the Holy Spirit convicts us of our sin and we repent and confess our sins, He is righteous and just to forgive us and restores us to fellowship with Him (1Jn.1:9), centering our life again on Him, and Him alone! In this restored and yielded state of fellowship we will find ourselves delighting, yes, literally delighting, in the presence of the Lord in our lives. This sense of delight comes especially from our loving obedience to His Will as manifested through His Word and through our worship of the One True God in Spirit and in Truth. It is when we are in this state, where we have placed the Lord at the center of our lives, that the Lord then places His desires in our hearts. In fact, it is in this state that His desires replace our human, fleshly desires so that we can become the channels and instruments of His Will in this world. Then, and only then, can the plans we formulate from our inner desires truly reflect His Plans and His Will. Our response to His call must be based on His infused desires and NOT on our own fleshly impulses. For you see it is His Will that we be His partners in bringing forth His Kingdom into this world. So that when we act and make plans based on the desires He has placed in our hearts it is HIS WILL that will be done and not ours! But we must commit or consecrate our plans to HIM and if we do so He will realize those plans in and through our lives, for His Glory! Praised be His Holy Name! If we follow the leadings of the Spirit in this process, then, and only then, will we see our plans bearing fruit for His Glory! This realization of our plans (really, His plans) in response to His call will vindicate the faith and trust we have placed on Him. And, in yielding to Him in Love we will see His purposes in using us as partners fully realized. over those who carry out evil devices [schemes]. But the final step is the ultimate test of our faith and our willingness to die to self – it calls us to be still and wait patiently for the Lord to act! This is where we put down our human zeal that desires to get things going because of the self-exaltation we get from doing things from our own ego. This is true even of things we do for the Lord. By waiting for the Lord we purify our motives and humble ourselves before Him acknowledging in faith that the plans we committed to Him are indeed His plans and not ours and that He, and He alone, can fulfill and activate these plans. If the anointing is not there, beware, you are most likely walking in the flesh or your service is not in the area that the Lord has ordained for you individually! Waiting for the Lord helps you in discerning not only when but where the Lord wants you. In this way you avoid many of the problems that come from mistaking the Lord’s leading. In waiting, we are not to be anxious or tempted in seeing those who prosper doing their own thing. That is, those who are acting out of their own self-will rather than God’s. In waiting for the Lord we are ascribing to Him, and Him alone, all the Glory and Honor for the work He chooses to perform through us! When we do not wait for the Lord and act out of our own flesh then we are putting down the Lord and dishonoring Him. That is why the psalm describes those who do so as workers of evil schemes. Now, brothers and sisters, I am not, implying that these reflections on Psalm 37 are the end-all and be-all of a discernment process. I only present, these, my private reflections, as an example of how the Word works in our lives to lead us along our walk with Jesus. When we ask the Holy Spirit’s guidance He opens up the scriptures to us and uses them to correct our paths and discern His personal guidance for us. The Lord works in each of us in very different ways depending on our personalities and state of mind and heart. However, praying over these verses and asking the Lord’s guidance for your lives will certainly initiate the contact you need with Him so that He can, through prayer, guide you to the individual aspects of His will for you that you are seeking. The reflections above may also serve as a spiritual checklist to see where you stand with the Lord so that His Will may be done in you and through you! (2) when the flesh has entered into our walk with Him, deviating us from the strait and narrow path and are in need of restoration . If we are already in a calling or ministry to which we have already attained such as marriage or the religious state, and we are walking in fellowship with Him, we should already have the basic guidance we need to function in that state or calling (as per Brother Lawrence). So when you are functioning within the constraints of your calling, your every-day duties and obligations themselves are indicators as to God’s will for you. If this is the case, your main discernment is to do everything out of Love, agape Love using the inspired Word as your guidebook. If there is any waiting at all it is only to ensure that all your motives are “sure and pure” and that you have crucified the flesh in all that you do in your current calling. It is only when you have a new leading that appears to change something in what you are currently doing that you need to do a more thorough discernment in seeking the Lord’s will and waiting for Him to authenticate that new call. This will ensure that it is really the Lord’s calling and not your own fleshly desires seeking an outlet. It is unfortunate that our religious culture has placed such an emphasis on the ordained ministry that we have forgotten that the Lord calls every Christian to fulfill a purpose for the life that has been placed in him/her and that each of us needs to respond and receive His calling and empowerment so that His Will may be done on Earth as it is in Heaven! Around the time of the California gold rush a brilliant German entrepreneur named Heinrich Schliemann (1822-1890) came into prominence because of his astute business acumen which led him to become a multimillionaire at the young age of 26. 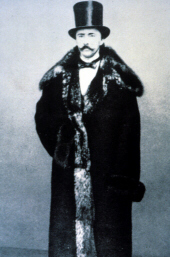 In addition to his acuity in the business world young Schliemann was fluent in several languages and trained by his father in the classics of western civilization. But above everything in his life he became enamored with the Greek culture, language and folkways. So much so, that he wrote to a Greek friend to find him a Greek Lady who shared his love for Greece and the Greek people so that they could study the Greek Classics together. Of all the Greek classics none seemed to appeal more to him than those of Homer and his epic poems, the Iliad and the Odyssey. As he studied these books of poetry. He became more and more convinced that the State-City of Troy vividly described in the works was not merely a figment of Homer’s imagination, but, in fact, was a place that actually had existed. In his determination, he researched all of the pertinent characteristics and geography he could glean from the Homer’s poetic classics. Armed with this information, he set out to locate this fabled city. After much effort he finally located a hill in northwest Asia Minor where he was sure the city of Troy once stood. Since money was not a problem, he financed and directed the dig himself. From the very beginning his efforts were met with ridicule and scorn. All the notable classicists, historians, and archeologists were united in declaring Schliemann’s project as sheer folly and merely a publicity stunt to raise money. After all everyone knew that Homer’s Iliad and Odyssey were just mythical poetry and that only someone completely devoid of his senses would be willing to believe it literally. But Schliemann did believe it and he began his excavation with great awe and expectancy. Several months into his project, nothing had been found other than the usual sort of artifacts found in the general area. One day as Schliemann and his wife were digging in the area of an arch they believed to be the entrance to a palace, a small hole appeared as they moved a stone behind a wall. Peering through the hole the Schliemanns caught a glimpse of what appeared to be gold. Immediately he told his wife to declare a holiday for the workers to celebrate his “birthday”. Going back to the dig later they uncovered a treasure unequaled in beauty and wealth except for that discovered in Tutanhkamen’s tomb. 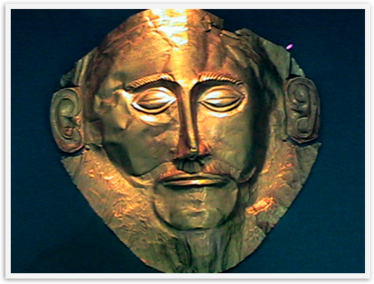 Skeletons in Golden armor were everywhere, the golden death mask of a king, whom Schliemann presumed was King Priam, the King of Troy, was also found. It was presumed to be one of greatest archeological finds of the century! By now, you might well ask, what does all this have to do with helping us to live a spiritually empowered Christian life? By analogy, I make the following application of this story to our lives as Christians. 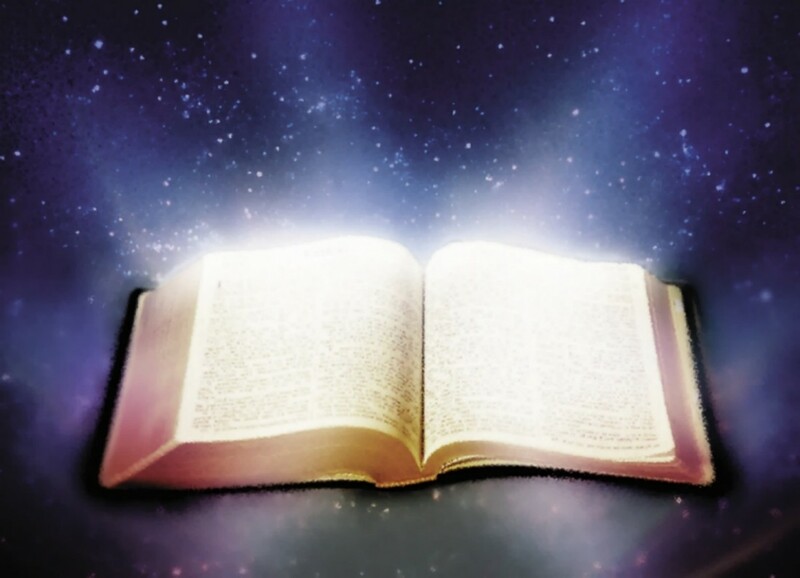 We have in our hands the greatest book in the world – The Word of God as contained in the sacred scriptures, a book that contains indescribable spiritual treasures. Yet because we fail to understand it or believe it, we wander about looking for a deeper understanding and knowledge of God elsewhere without realizing that God himself has placed the very means of achieving that in the hands of every believing Christian, namely, the sacred scriptures! Our problem is our lack of spiritual understanding of the Word and its importance to living a life that draws on its energy and power. How often do we treat the Word of God as merely “religious poetry” or “apocalyptic symbolism” or a “book of rules and mythical morality stories” and in this way close our minds to the great spiritual truths that are to be found in every book of scripture. How often have we laughed to scorn those who have come into revelation knowledge of the Word and have attempted to share their treasure with us? How long has not the Treasure of the Ages been buried in the hills and mountains of our traditions? How few there are that actually believe this Guide-Book to that treasure and begin to enter in to the depths of the Lord’s Messiah. If a secular and profane man such as Schliemann can study and believe in a worldly book of poetry written by a long-dead human author and discover the reality of what was thought to be a mythological kingdom, why is it so difficult for some Christians to believe the words of the Living God? The words of the Father, who not only made us inheritors of the Kingdom through the death and resurrection of His Son, but who also, gives us His Holy Spirit TODAY, so that His words may bring us to a deeper understanding of the eternal life he has placed in us? Is it possible that the words of the Living God are less meaningful than those of Homer? Why is it that man cannot understand that the Lord God wants to lead us not to a kingdom of the dead , but into His Kingdom of Life through the Archway of Salvation in Christ Jesus, His Son? A kingdom we can enter TODAY and not after we have left our physical bodies! The basic problem is ignorance – ignorance in the spiritual sense. For you see, when the Lord, speaking through the prophet Hosea said, “ my people are destroyed for lack of knowledge”, he was not referring to intellectual knowledge. For of all the people of the Near East, perhaps none were as assiduous as the Israelites in undertaking the study of the Word of God. Yet God’s word stands true not only regarding them but also for all of us living in this modern world, where theological studies abound. Because we have not come into the spiritual understanding we need to know God and His Ways, we are prevented from functioning effectively as the people of God. The main cause for this lack of spiritual ignorance is clearly attributable to western society’s emphasis on the rational, intellectual, psychological, and physical nature of man and the rejection of anything spiritual. A rejection, which is sometimes covertly covered over by presuming that man’s spiritual side, is demonstrable through his psyche or his intellect and the assumed notion that there is nothing else in man’s nature beyond this. The current wisdom being, “ if a phenomenon cannot be categorized into one of our existing sciences or medical disciplines it does not exist”. Unfortunately, this type of thinking has so crept into our churches that true spirituality, instead of being sought, is avidly avoided (especially by us men). Yet it is only through a renewed spirituality that we can know God and come to an understanding of His Word. For Jesus, said, “the words I have spoken to you are Spirit and they are Life”. Thus, since the unspiritual man cannot understand spiritual things we could study the Bible for a thousand years and not obtain a single spiritual value from it. 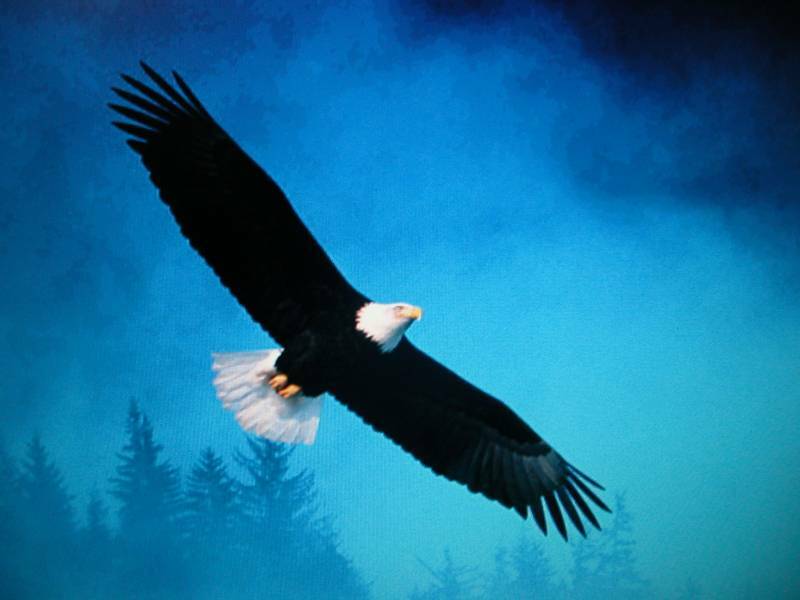 It is only when we let The Holy Spirit (Ruach HaKodesh in Hebrew) enter our hearts, that is our spirit, that the Word of God can be of any spiritual value to us. The Lord provides the grace for His Word to enter our hearts. All we have to do is receive it and act on it. When this happens we begin to have a true understanding of what the Lord really wants to say to us individually through His Word. It is a manifestation of the grace of revelation knowledge. Once you have experienced such a grace you can personally understand the comment made by the two travelers to Emmaus who were privileged to have the Lord explain scripture to them: “..were not our hearts burning within us?”. This infused understanding is the spiritual heritage of every Christian. You see, the spiritual understanding of scripture is not something you get automatically by going through a course of study, it is a grace given by God to all who ask. Just as for the disciples, Jesus “opened their mind so they could understand the scriptures”, so must each of us ask to receive the revelation we need from our daily reading of God’s Word. This is the reason that whenever scripture mentions belief, it is with the heart not with the intellect. For example, when Paul exhorted the Christian community in Rome, he said “For if you confess with your mouth that Jesus is Lord and believe in your heart that Jesus rose from the dead you will be saved. For one believes with the heart and so is justified, and one confesses with the lips and so is saved”. This is not to say that our intellects do not come into play – because they do, but not to discern spiritual things but as a filter to determine the veracity and type of materials we permit into our spirits and as a reasoning engine to “rightly divide the Word of Truth”. Once we have received the Word, meditating on the Word of God is the means the Lord has instituted for permitting His word to go deeply into our hearts. Acting on His revealed word to us as individuals is what brings forth fruit. Once we understand that to access God, we must approach Him in the spirit, then the Lord is able to be in fellowship with us. Without that understanding we cannot expect progress in our spiritual lives, nor can we expect to discover the Glory of His Kingdom through the scriptures. 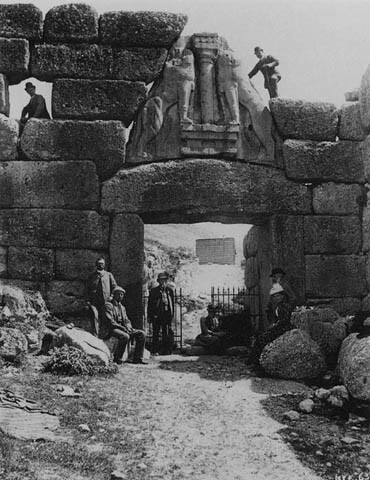 There is a great deal of controversy regarding Schliemann’s discovery of Troy. There is no doubt today that the site he discovered is that of the City of Troy. The only problem is that there were nine cities built on the same site over 2000 years so which one was really Homer’s Troy? Although I am addressing this post to Christian husbands I invite you Christian wives to listen in also, for what I am about to tell the men directly affects you and requires your cooperation so that the Lord may bless you both as a one-flesh unit before Him. All Christians are called to be disciples because we are destined to be conformed to the image of Christ (Rom.8:29) – which is the divine purpose behind true discipleship. The primary distinctive of such discipleship is to “love one another as Jesus loves” (Jn. 13:34-35), that is through the same “agape”, self-denying Love that was in Jesus and has now been poured into our heart by the Holy Spirit (Rom. 5:5). For a Christian man, I can think of no better place to work out his calling to discipleship than through the Sacrament of Holy Matrimony, for it is through this sacrament that we prophetically model Jesus’ love for his church! What better training ground for discipleship than this! However, brethren, I have to admit that “discipleship” was the farthest thing from my mind when I proposed marriage. Oh, yes, I loved my bride-to-be dearly and I still do but the love I had then was not the “agape” kind of love that is at the core of being a disciple. Although it was god-given, it was a natural love, a romantic love, that brought me to the wedding altar. And, yes my love was sincere in that I had every desire to give myself totally to my bride, but in my spirit I retained my personal baggage, that part of my nature that drove me to self-centered fulfillment, essentially, my sin nature. It was a part of me that I unconsciously had not surrendered, not only to my wife but also to God. Unfortunately, most of us men enter marriage in just such a state. Oh yes, we do respect the sacrament and the covenant it represents and we do firmly commit ourselves to our brides through the promises to “love and to cherish, until death do us part”. But unfortunately our training for marriage does not usually discuss the magnificent challenge of the spiritual discipleship that marriage involves. Nor does that training include understanding the scriptural basis and tools needed to live out such a calling within the marriage covenant. This lack of preparation at the “spiritual” level ignores the fact that we are all tri-partite beings consisting of body, soul, and spirit. Yes, we usually obtain some training at the “ body and soul level” that helps us to maintain a relationship to a certain degree. But since many of the problems in a marriage have their roots at the “spirit” level, we leave the newly married couple at the disadvantage of not knowing how to get to that level and the spiritual tools that are available to them to stand against the wiles of the devil and the vagaries of their own flesh that work against the marriage covenant. For this reason, many Christian couples struggle through their marriages and usually are unable to obtain competent advice or counselors to help them get at the root of their problems. This is because the counselors themselves have not been trained at the spiritual level and thus limit their counsel to the “body and soul” aspect where their competency lies. It is also true today that spiritual advisors such as priests or ministers do not usually have the time or prayerful discernment needed to help these struggling marriages, because, although they have been instructed in the basics of spiritual growth, they are too consumed with just keeping their ministries or parishes going to dedicate prayer time to individual cases and asking the Lord to guide them in providing help for these marriages at this deeper level. Since the scripture lays the initiative on the husband to emulate Christ in marriage I am, today, exhorting all Christian husbands to discover how by surrendering yourself to Christ and yoking yourself to him in discipleship you can be God’s instrument of renewal for your marriage, and in walking the walk with Jesus, you, yourself, will grow spiritually closer and closer to Jesus. In that relationship He, Himself, not some intermediary will teach you, through His Word, all you need to know about Divine Love and how to let that Love encompass you and your bride just as He encompasses His bride, the church. You just have to learn to listen to His voice through His Word and through your spirit, in prayer, as the core part of your discipleship. One of the reasons many of us Christians shy away from discipleship is because we have been given the wrong impressions of what it entails – usually as someone establishing some kind of strict religious discipline to which you have to adhere. Nothing is farther from the truth! As I said before, discipleship is merely the process that you enter into when you yield yourself to the Bridegroom and let Him teach you one-on-one, day-by day, how to be open to His Love and How to express that Love in all of the situations you encounter in marriage (and in life). I call it the “Sweet Yoke of Love”. He also provides you the covering you need against the attacks of the devil brought on by your fleshly weaknesses. But you cannot come to this point unless you learn to listen to His Voice and Obey it out of Love for the Master. True Divine Love can only be expressed inside of a relationship, That’s why the Holy Trinity, IS LOVE, because of the relationship of the godhead. It is the Father’s desire to bring us not only into the relationship He has with the Son but for us to share that living relationship with each other so that we truly become the Bride of Christ. What better place, then, to learn about Divine Love, agape Love, than in a marriage relationship? It is through such a loving and living relationship that true discipleship occurs, where we, through the Divine Love that has been poured into us, are conformed day-by-day into the image of His Son. A Christian marriage relationship is designed by God to model the relationship between the Son and His Bride so don’t you think that God will provide you all the help you need to be the husband He wants you to be and all the graces you need to follow the path of discipleship He asks you to follow within the marriage covenant? I have touched on some aspects of these concerns in my other posts but unfortunately right now I do not have a comprehensive teaching guide to give you – maybe in the future. However, you don’t really need me, or any one else, to get started all you need is Jesus! And He is always available through prayer – the prayer of dialogue, and through meditation on His Word. “Husbands, love your wives, just as Christ loved the church and gave himself up for her, in order to make her holy by cleansing her with the washing of water by the word, so as to present the church to himself in splendor, without a spot or wrinkle or anything of the kind—yes, so that she may be holy and without blemish. “In the same way, husbands should love their wives as they do their own bodies. He who loves his wife loves himself. For no one ever hates his own body, but he nourishes and tenderly cares for it, just as Christ does for the church, because we are members of his body. It is, however, a more specific variant that raises the bar on what the Lord expects of Christian husbands in their marriages. Paul’s exhortation challenges us husbands because the love that is requested includes, but goes beyond the human level of love that asks us to “love others as we love ourselves”. The challenge posed for us husbands is to reach for a much higher goal – the spiritual level of Jesus’ Love for His church – a love that demands a dying to self. This is an “agape” type of divine, unconditional, Love between husband and wife that reaches the mystical level where it is a prophetic living out of the Love of Christ for His Church! It is a Love, where we husbands are called to die to ourselves on behalf of our wives in consummation of that love and thus be partakers of Jesus’ Love for His church. We cannot achieve such a divine type of love on our own! This type of love is a Holy-Spirit-inspired Love, it is a spiritual gift that is activated by faith – a faith that, Jesus Himself, working spiritually through the Sacrament of Matrimony, will manifest that Love in us and through us as we live out our conjugal covenant. A faith that can only be activated by an act of our will – a spiritual act of surrender to Jesus Himself inviting Him to walk with us in our marriage, empowering our love with His, so that we may live out our marriage covenant in the spirit and not in the flesh! When we willingly surrender to Jesus to let His Love be manifest in us and through us so that we die to ourselves in giving ourselves to our brides, we will find that our brides will respond to that love in the manner that the church responds to Jesus’ sacrifice, namely, by submitting themselves, in turn, to the leadership of love they see in us. 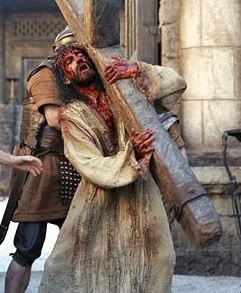 Lord Jesus, I believe that you, the Son of the Living God came down from heaven to reveal the Father’s Love to me by suffering and dying for my sins. I believe that through your death and resurrection you have brought redemption and life not only to me but also all else who believe in you. I further believe that it is only through knowing you in a loving personal relationship that I can know the Father and His Love. Lord, cleanse me from my sins and make me a fit vessel for your presence. Permeate my entire being with your life and your love so that I can truly be an instrument of your Love in this world. As an act of surrender to your Love, I especially ask that you send your Holy Spirit to empower me to Love My wife as You Love your Church so that we may both be united in your Love and your blessings in our marriage. May the Lord richly bless you as you enter the “Narrow Gate” of the discipleship of Love! Related prior posts dealing with Discipleship and Love that will help you!